We Love RV'ing: Kootenay Lake, B.C. The entire region surrounding Kootenay Lake offers incredible RV'ing opportunities. So many sights to see with a great history to enjoy. 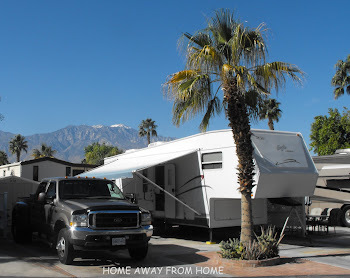 We have RV'ed in many places but not all of them yet. 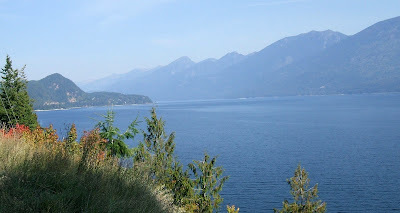 We still have lots to see and enjoy but we will share some of the great pictures we have and stories we've learned about the towns and communities that enjoy the grand Kootenay Lake and all it has to offer. Kootenay Lake is 144 km (90mi) long and is bound by the Purcell Range on the east side and the Selkirk Mountain Range on the west. The average width is 4 km (2.5 mi) and 8 km (5 mi) at the widest part and is up to 152 m.(500 ft) deep. The lake was formed during the ice age which created the farmlands around Creston rich in glacial till. This beautiful lake also has wetlands at both ends of the lake as well as at Crawford Bay. There are 7000 hectare in the Creston Valley Wildlife Management Area which is host to over 260 species of birds, which include pelicans and swans. The fact that the lake remains ice-free in winter makes it available year round. There are large populations of coyote, mountain goats, deer, elk, moose, bear and cougar that share this wilderness with the many people that live and tourists that visit this incredible part of the country. 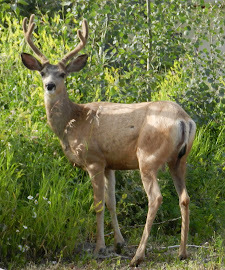 One needs to remember that and respect the wildlife and their habitat. Some of the many communities, towns and villages that surround Kootenay Lake were accessible by sternwheelers only until the 1950’s, Highways now link them all but ferry service makes some trips much shorter by offering free ferry service across the lake. That means more opportunity to see the lake with incredible mountain views to enjoy. 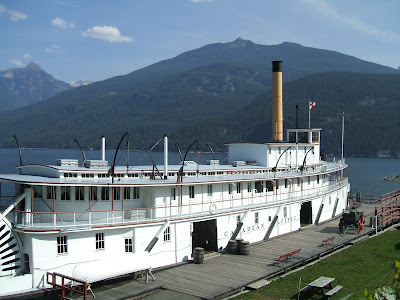 The SS Moyie, located in Kaslo, B.C., Canada, started service in 1898 and discontinued ferry service in the 1950's.